During a special press conference today, NVIDIA has unveiled their next-generation flagship GPU the GeForce GTX 1080 along with the slightly less powerful GTX 1070 both of which are based on their all-new Pascal micro-architecture and built on a 16nm FinFET manufacturing process. The new GPU is rated for 9 TFLOPs of compute performance and is equipped with 8GB of Micron’s brand new GDDR5X memory, which theoretically offers twice the amount of bandwidth as the current standard GDDR5. The card also features a Base Clock of 1607 MHz and a Boost Clock of 1733 MHz along with a 256-bit Memory Bus with a Memory Clock of 10 Gbps for a total of 320 GB/s. The full GP104 GPU of which it is based will feature a total of 2560 cores which represents a 25% increase over the current GM204 based GTX 980. The GTX 1080 has a rated TDP of 180w, compared to the 165w GTX 980. 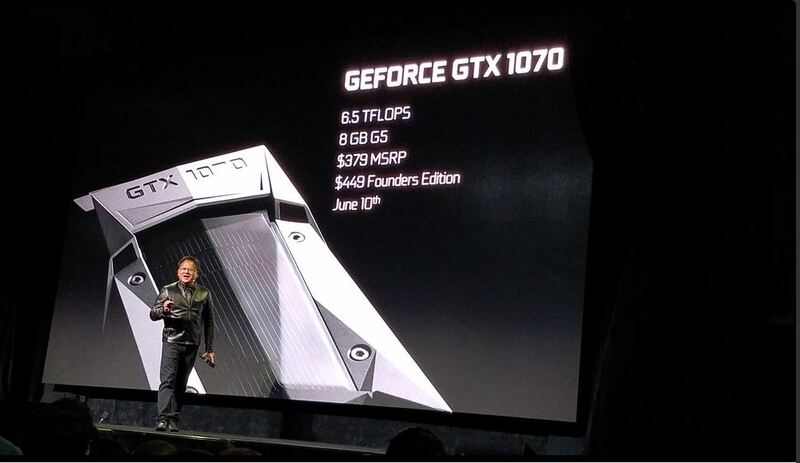 It will be priced at $599, making it just $50 more than the price the GTX 980 launched at back in 2014. NVIDIA also claims that the GTX 1080 will be faster than two GTX 980s in SLI and a single Titan X. 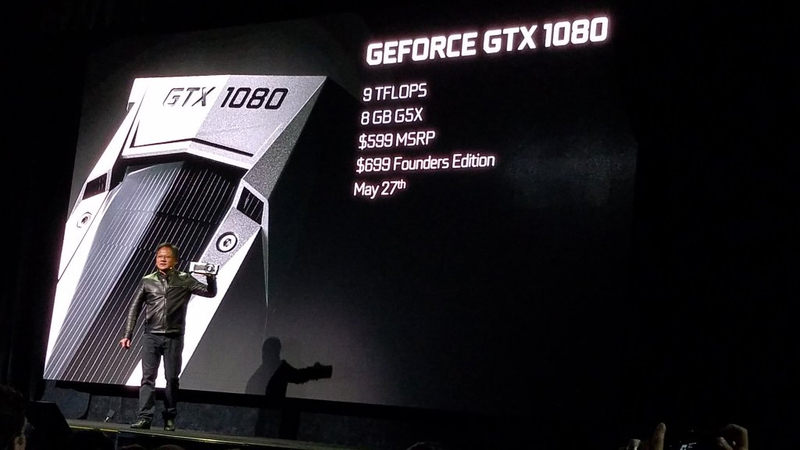 The GTX 1080 will be available for purchase on May 27th. Moving on, NVIDIA also unveiled the GTX 1070 which features 6.5 TFLOPs of compute performance, 8GB of regular GDDR5 and is priced at $379. It will be launched a couple of weeks after the GTX 1080 on June 10th. 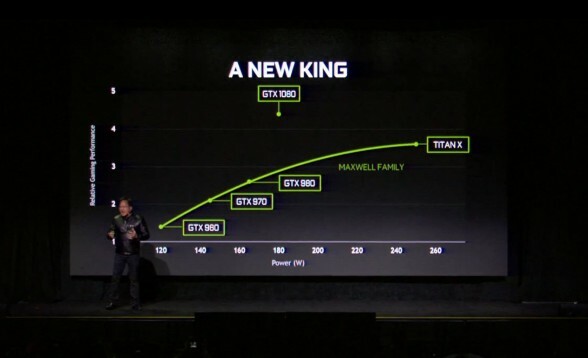 No word on under the hood specifics yet, but NVIDIA claims it will also be faster than the top of the line Titan X, making it one heck of a value. Both cards feature a newly redesigned reference cooler which was leaked last month. The price and performance of these new cards is absolutely amazing and will no doubt be a big hit among early VR adopters and enthusiasts looking for the most performance. Of course now, the ball is in AMD’s court as they are expected to unveil their next generation GCN 4.0 (Polaris) based graphics cards.